Our Attendance Improvement Officer, Mrs Jan Rusdale, worked extremely hard over the last term to improve the attendance and initiate incentives to encourage good attendance. Our termly winners for the Autumn Term are 3W. 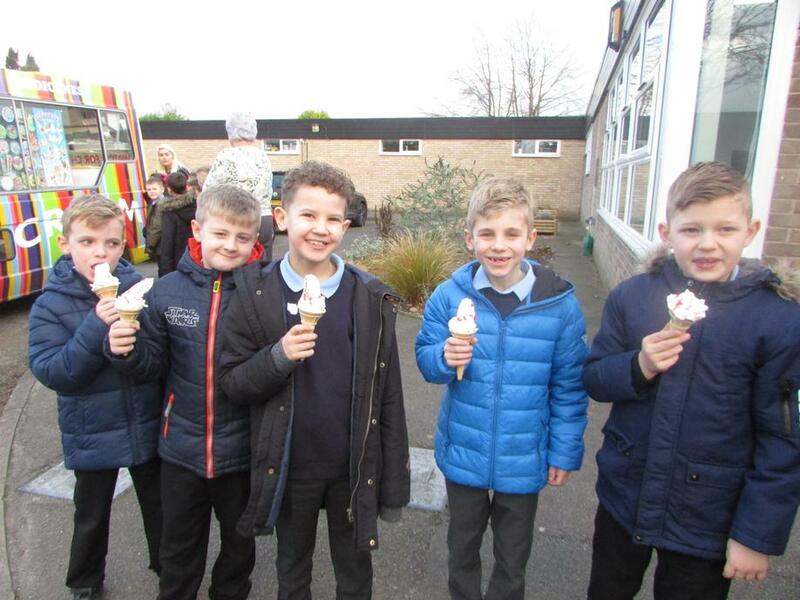 They had a wonderful surprise with a visit from the ice cream van. 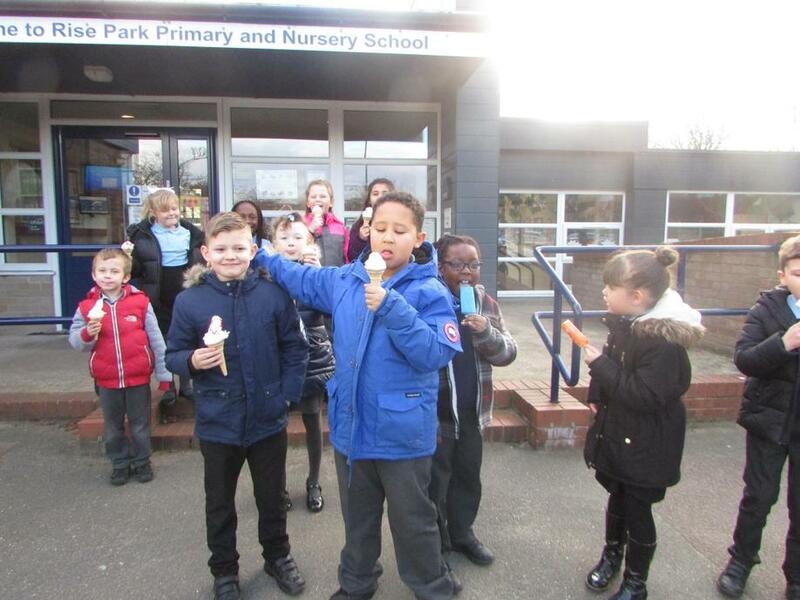 The children were very sensible when collecting their ice creams even though they were really excited. Well done 3W! Previously we have arranged for football tickets to Notts County, and tickets for a Nottingham Panthers Ice Hockey match. 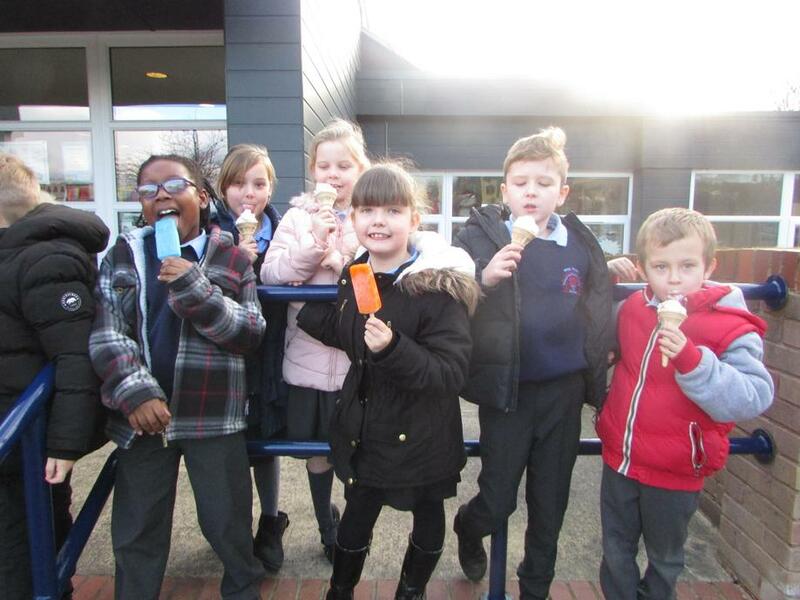 Pupils were entered into a prize draw to receive these tickets. We have other prizes to be won later in the year for 100% attendance pupils. On the last day of Term we presented Silver Medals to those pupils who had 100% attendance since September. We also presented Bronze medals to those pupils who had attended for one term respectively. During the year the House Trophy is awarded each half term to the team with the most points for attendance. 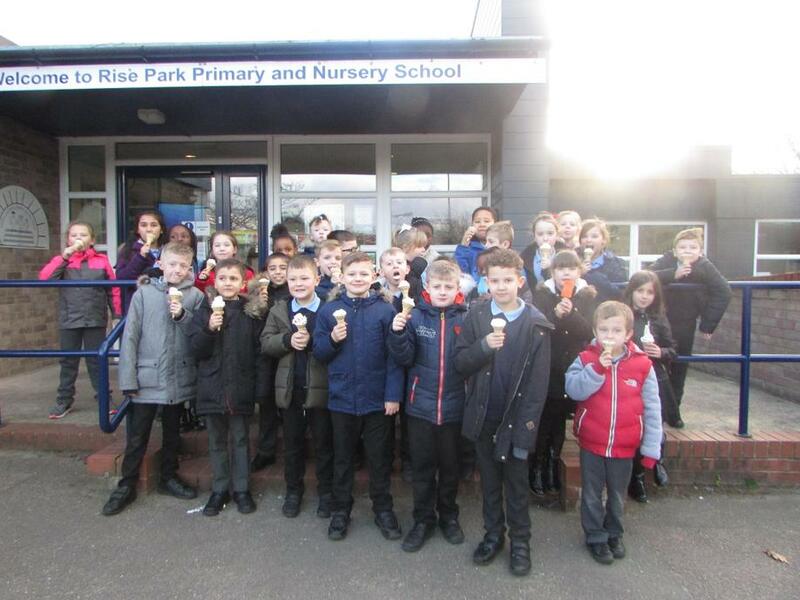 Attendance certificates are awarded each month, half termly and termly for 100%, along with the end of each term the pupils receive badges and pencils. We also monitor the class attendance on a weekly basis, the highest attending class of the week is awarded a Class Trophy to keep for the week, this appears to be a highly competitive award! Many thanks for your continued support with encouraging attendance. Early Bird is a scheme to promote punctuality and attendance within school. Every child who arrives at school on time at 8.55am will write their name on a piece of paper to be added into a class box. This means that every child will have the possibility of having 5 entries into the prize draw per week. This will happen every day and on a Friday one name will be pulled out of each class box to be added to the prize box. Then on Monday’s assembly a winner for KS1/F2 and KS2 will be chosen to win a prize! 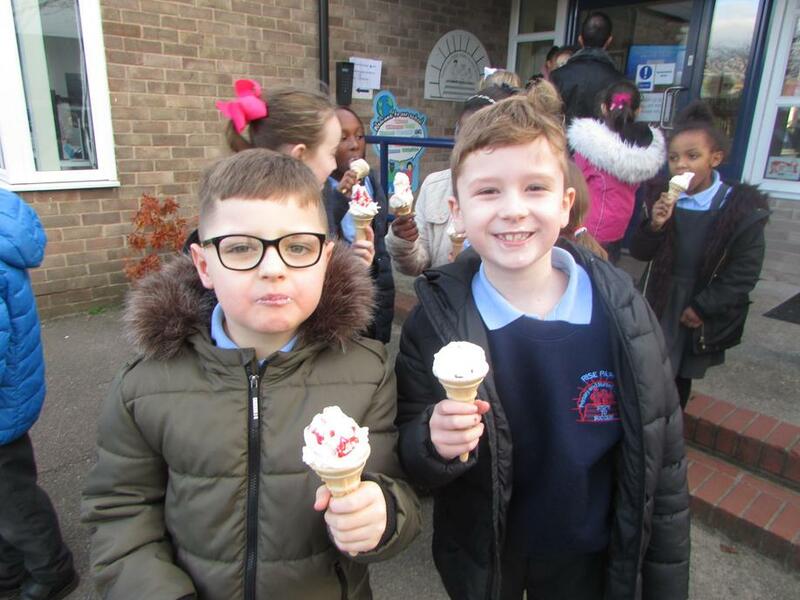 So far the prize voted for by the children has been an ice cream – we may reconsider this as we get closer to winter!